I'm what you could call a collector of bootleg Pokémon games. Pokémon Diamond & Jade, Chaos Black, etc. It’s amazing the frequency with which you can find them at pawnshops, Goodwill, flea markets, and such. I played through this hacked game many, many times, and every time the game ended with this sequence. Several times I didn’t use Ghost at all, though he was impossible to remove from the party. 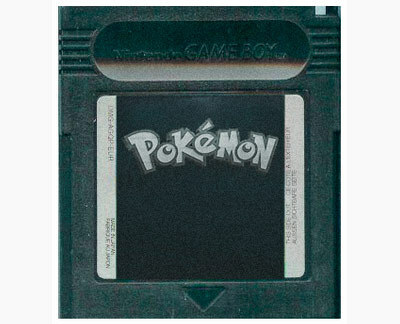 In these cases, it did not show any Pokémon or trainers and simply cut to the climactic “battle with Ghost. Harumph. Fine work of art indeeed. (adjusts monocle) It matches the work of Shakespeare himself. that's pretty damn disturbing, a fine bit of haunting cathartic justice. Did one ever know the reason why the pacing and story development change after Ash was hit by lightning in the beginning episodes? How Ash and his world were relatively normal until after the incident? I have a theory. The accident with the bike put Ash in a coma. Days later he was found and was hurried to the hospital and treated with heavy medications. This is why Team Rocket became less menacing. The medication took effect and stabilized his coma dreams, instead of being terrifying, they became idyllic, and he's able to live out his Pokémon master fantasies. I WILL be the very best! Ash coma theory; old yet likely if he would just do Misty, May and Dawn... AT ONCE! You just wrote a goddamn essay analyzing a possible story twist in the pokemon series. You have way too much time on your hands. Actually, from further inspection, it's more fan-fic than an essay. Shame on you hoboapple. please tell me all that text was copy/pasted! I just read the animal crossing thing. That was fucked up man. lol i looked it up on youtube after reading this and the first video i went to was the exact explanation u just gave, cudnt u hav just given us a youtube link? Young Greezy wrote: I just read the animal crossing thing. That was fucked up man.